is a junior at Lehman College studying to be an English teacher for Middle and High School Students. Her love for writing and teaching started young. At the age of five she joined her first creative writing class. The following year she became a teacher to her two year old sister by teaching her ABCs and basic words. 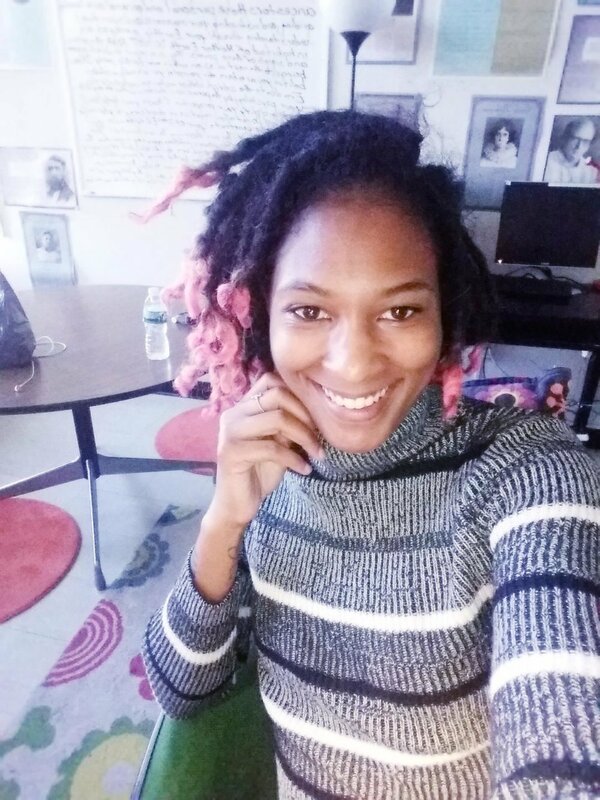 Calandra aspires to be a teacher in the New York City Department of Education after graduating with her Bachelor’s Degree. Her long term goals are to be a college professor and writer amongst several genres. Currently she works at the tutoring center, ACE, at Lehman College. She finds her work fulfilling and a great way to train for her future endeavors. is an English major with a specialization in Creative writing and a Philosophy minor. He transferred to Lehman in the Fall 2017 semester. He is a spoken word artist, poet, and fiction story writer. He hopes to one day write novels, shows, and movies that will live on forever in people’s hearts and minds. Growing up his favorite books were the Harry Potter series and the Series of Unfortunate Events. The most impactful book in Bernard's life is Paulo Coelho's The Alchemist. is a spoken word artist who started her journey as a writer two years after she came to the United States. She picked up the English language with dreams of one day becoming a writer. She started to write poetry when she was in the seventh grade, and has performed at Lincoln Center and the Nuyorican Poet's Café. She is currently rediscovering her love for reading as she focuses on Literature and Creative writing at Lehman. In her free time, she loves watching Korean Dramas and ice skating with her close friends. transferred to Lehman in the Fall 2016 semester. She came to New York from Georgia in pursuit of finishing her English literature degree. She has a love and passion for the art of storytelling. Whether from a book, movie, or play she enjoys hearing or watching tales from a variety of different genres. She began her own journey as a storyteller over fifteen years ago when she discovered she had a knack for fiction writing. Ashley hopes to one day publish a novel born from her over active imagination. For her, imagination is paramount. She agrees with Albert Einstein when he said, “Imagination is more important than knowledge. For knowledge is limited, whereas imagination embraces the entire world, stimulating progress, giving birth to evolution." is a junior at Lehman College. Her major is English Literature with a minor in education. She loves to read, write, and most of all travel. Ashley enjoys journaling about her experiences with all the places she has visited and hopes to soon share it with others. Although she is pursuing a career in education, she hopes to one day get a job writing in the travel section of a newspaper or magazine. is a double major in Music and English - Creative Writing. She is interested in music therapy and writing fiction. She is part of the Lehman Chorus. She is looking forward to taking the introductory writing courses in fiction, poetry, playwriting and screenwriting. is a student who lives and breathes art. She’s a painter, actress, and writer. Alia is an English Major with a specialization in Honors Literature. Her favorite poets are Philip Larkin, William Wordsworth, W.B. Yeats, and T.S. Eliot. Her creative inspirations are Anne Rice, Stephen King, H.P Lovecraft, and David Benioff. Her hobbies are painting, writing, and playing with her dogs. Her favorite painter is Vincent Van Gogh. Alia is interested in going into international law, but her real dream is to be an author and screenwriter. is a rising junior majoring in English Literature with the intentions of minoring in Japanese and Psychology. As of late, she has a soft spot for Adventure Time and crocheting. She hopes that studying Asian American narratives and will help her better understand and explore her Korean-American identity. is a sophomore in the Macaulay Honors College. She is majoring in English literature as well as History. She hopes to teach at the high school level and eventually teach abroad in South Korea. Karina Rice is an English Honors Creative Writing Major with a specialization in Fiction Writing and a double minor in Philosophy and African American Studies. She is a poet with a lot to say ad has been published in the Spring 2018 issue of Obscura. Her love for the craft, vivid imagination and admiration for words are what influenced her to follow this track. She aspires to become a successful author, and dabble in writing shows and movies that will impact others. She hopes to earn her BA in the spring of 2019 and thereafter move on to earning her MFA. Eventually she hopes to obtain a job in the publishing world and who knows, even open a publishing company of her own! English Honors Student, expects to graduate with a Bachelors degree in Professional Writing in the Fall of 2018. She is also minoring in Business Practice. She expects to continue her education in Professional Writing as she enters graduate school in the Spring of 2019. She currently holds the position of the secretary and office manager of Lehman College's school newspaper, The Meridian. She is also a member of Lehman L.I.F.E., an alternative break program that allows students to do volunteer work domestically and internationally. Traveling and volunteering are two hobbies that she's truly passionate about. She hopes to one day become an editor at a publishing house. Along with being an editor, she hopes to create an organization that will donate books to shelters, school libraries, and kids/young adults in need of books. is a native Trinidadian who has lived most of her life in the Bronx. 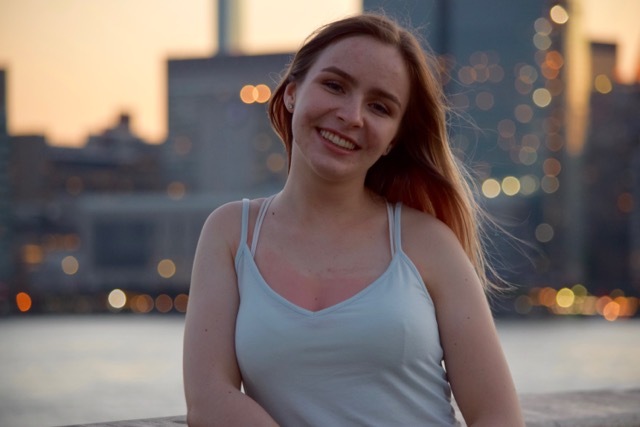 After transferring from LaGuardia CC from a background in Psychology, she has found her home with us in the expansive world of writing and literature. Her goal is to use her skills of observation to write novels, TV shows, and screenplays that connect with people in a meaningful way. Ever the believer in complex characters, she herself might be called as such - as a Creative Writing major with a minor in Business. When she's not thoroughly engrossed in working for her classes, she enjoys photography, meditation and keeping up with new media and tech. is an Indian-born student of (Honors) creative writing. He tutors English at the Academic Center for Excellence on campus and contributes to Obscura’s online presence every Monday under his recurrent CINÉMONDAYS WITH HARDIK. Claim to fame other than being: he has appeared in The New Yorker for “taking issue with Trump’s ‘gibberish’” in their 2016 article, ‘Donald Trump vs. New York City’ by Daniel Wenger. Other than that, he’s just an introspective earth child like Nate Fisher from HBO’s Six Feet Under—just as one should be. is a sophomore with Macaulay Honors College and is set to graduate in 2020. He is majoring in English Literature and minoring in Latino/Puerto Rican Studies. As of now, he is preparing to become a firefighter and hopes to read many books while he waits for fires. PAULA CASTRO is a sophomore pursuing a double major in English and Spanish Literature and a minor in Middle and High School Education. She is also a member of the National Society for Collegiate Scholars. She likes to read and enjoys approaching literature in different ways. Paula loves to be surrounded with new cultures and learn from them. NATALIA KIERZKOWSKA is a Macaulay Honors Student majoring in English and Philosophy. Growing up, she had spend an ample amount of time reading, and dreamed of one day writing like her favorite authors herself. Besides reading, Natalia enjoys baking and decorating, as well as listening to music. FRANCIS MERENCILLO is currently an English Major student with a literature concentration. 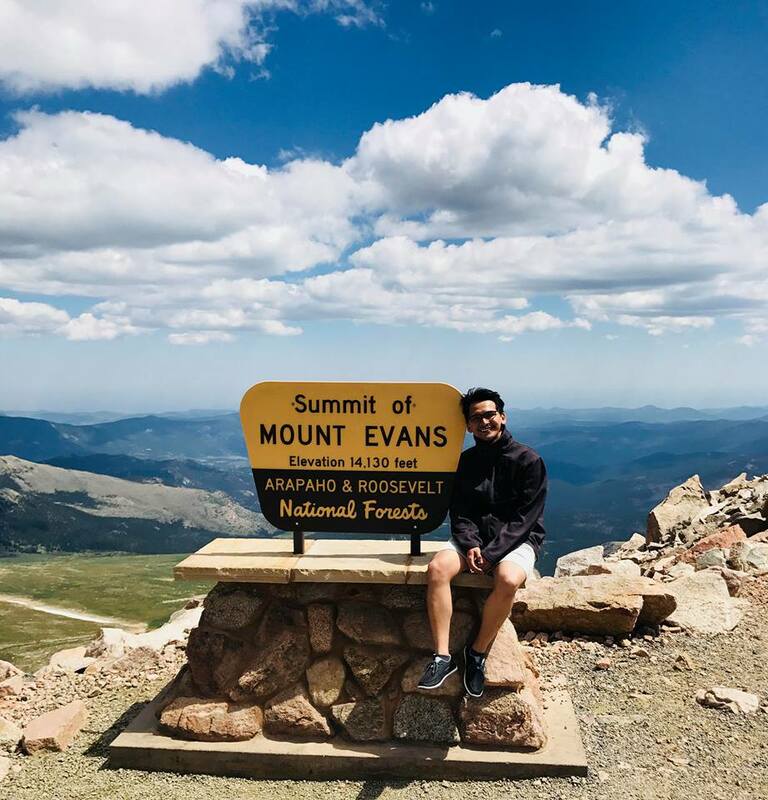 He aims to grow as an academic and hopes to forward his understanding of what literature is, and how it creates an impact in the twenty-first century. Aside from reading he also enjoys listening to music, vandalizing his notebooks with random scribbles and doodles and relishes watching anime and classic movies. SHARLINE PARKER, who prefers to be called Parker, was born in Queens raised in New York City. She always has a charismatic attitude about everything. The momentum she has for English Literature, however, held true since her high school years. Mr. Xavier, Parker's high school English teacher, recognized her talent and told her that English Literature would be her pursuit in the professional world. A decade later, here she is, following the steps necessary to pursue her dream in teaching English Literature as a professor. Ms. Parker considers traveling the "essence" of life. She asks, "What is the purpose of harboring the gift of analysis?" as this is what she say's English Literature is all about. Some of the countries she will teach in are: Dubai, Czech Republic, London and Spain. She says there are many others on her list, however; the mentioned countries is where she will begin her journey in what she likes to call "travel to teach". If you see Parker, don't hesitate to say Hello, Hola(hello) or Marhabaan(hello) as she also enjoys learning different languages. is a English Honors Professional Writing major with a minor in Philosophy. He is also a member of Tau Sigma National Honor Society and the National Society for Collegiate Scholars. He hopes to one day own his public relations company. He also wants to rewrite the narrative of the African American minority that has been incorrectly told for centuries. He hopes his writing will inspire others the same way writing continues to inspire him. He wants to be able to give a voice and lift a voice. He would also like to write scripts for films, television shows, and executive produce as well.